New simplified conga mounting eliminates the need for wing nuts and washers. Conga mounts just slide into the stand top receptacles and lift off for easy removal. The re-designed conga support bracket adjusts to your conga's individual diameter. The height-adjustable upper post's pin lock design eliminates any slippage. 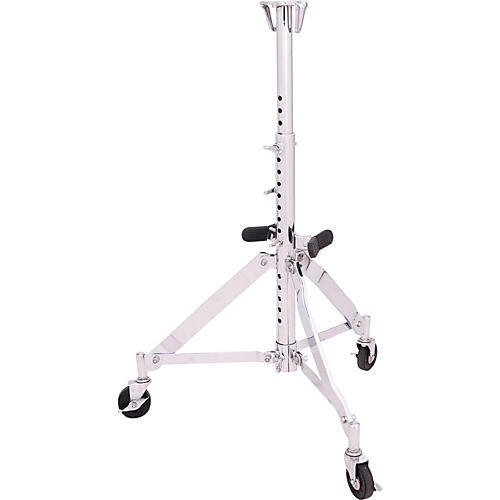 The sturdy heavy-duty folding base has added holes that allow for more height adjustment. Includes locking casters.